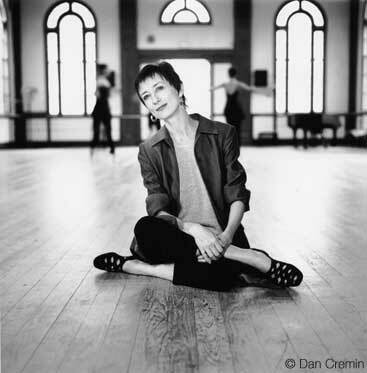 Favorite roles/choreographies: Other than naming one role, I think the ballets I felt most connected to were the ones where I had been part of the creative process and/or worked directly with the choreographer who had previously created the work. Choreographers I found especially inspiring were Rudi van Dantzig, Toer van Schayk, Hans van Manen and Canadian choreographer Ann Ditchburn. Career highlights: As there are many it is difficult to select. In my years as a performer, I think dancing preferred roles at the Metropolitan Opera House in New York is one and touring to small European theaters full of tradition and history another. After my years as a performer, it was exhilarating to discover that the opportunity to teach and guide impassioned, talented students is even more exhilarating to me than performing myself. Message to the Prix de Lausanne candidates: I wish for each of you the opportunity to be mentored by individuals who encourage you to think for yourself and explore your own artistic voice. In an art form immersed in tradition, it is easy to become a fundamentalist and lose sight of the fact that tradition is a powerful springboard when one “cherishes the masters’ fire rather than guarding their ashes.” An artist who makes a difference is one who has the courage and insight to be true to their own inner voice and instinct. Message to the Prix de Lausanne organisation: I believe the Prix de Lausanne’s contribution to the international ballet community is invaluable. Thank you for the extraordinary integrity and thoughtfulness you bring to the process of creating distinctive opportunities for the most gifted young ballet talents from around the world. It is an honour and privilege for Canada’s National Ballet School to be one of the Prix de Lausanne’s partner schools and I will always cherish the memories of being part of the process of the Prix’s ongoing evolution. In fact, the Prix de Lausanne’s determination to continually evolve and improve itself is for me the most inspiring element of your organization.